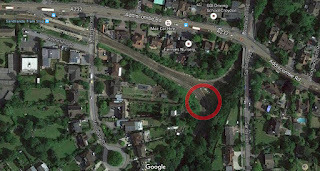 It was a dark, cold and wet morning on November 9th when a tram from New Addington to Wimbledon derailed killing at least 7 passengers and injuring more than 50 more near Sandilands. The vehicle involved was one of the original Bombadier built CR 4000 fleet number 2551. 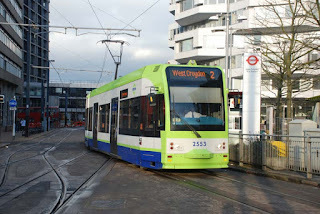 A Croydon tram on the streets in the town centre. 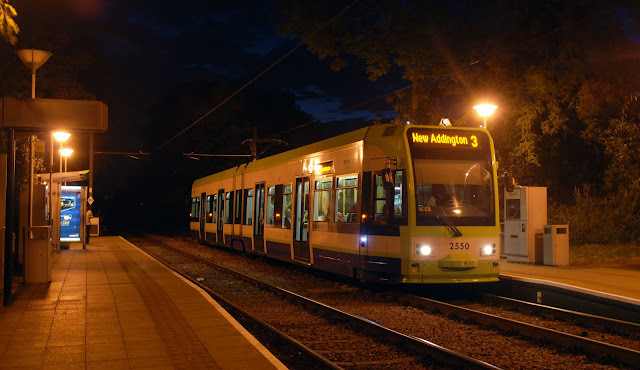 When you get up in the morning and begin your journey to work, school, or wherever you are heading the last thing on your mind is probably whether or not you will make it (Especially with the result of the controversial US election having recently been announced)- unfortunately for passengers on the 05:55 tram this morning (9th November 2016) from New Addington to Wimbledon, their journey came to an abrupt end shortly before Sandilands station when the tram derailed killing at least 7 passengers and injuring many more. This is the first fatal accident on London Tramlink in its 16 year history and the first fatal tram accident involving a passenger since 1959. Furthermore today's accident brings to an end almost 10 years in which no passengers have been killed on board a rail vehicle in the UK- the last fatal incident being the derailment of a Virgin Trains service near Greyrigg which killed one in 2007. Today's derailment is the worst loss of live since a Great Western HST struck a car on a level crossing at Ufton Nervet in Berkshire in 2004. 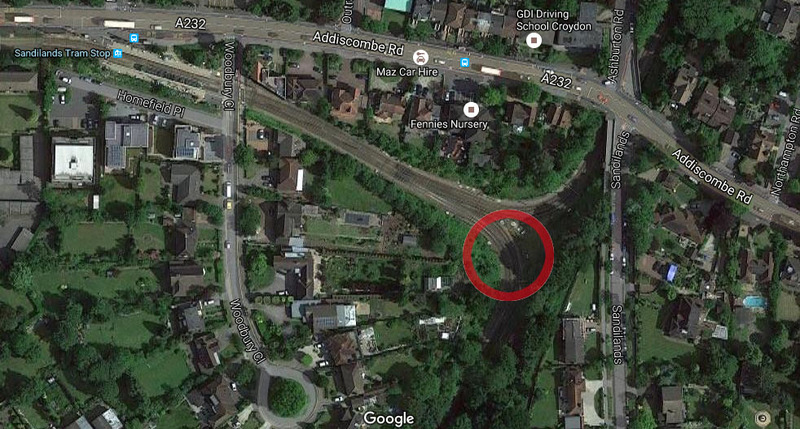 A google map showing the derailment site on a sharp curve. Britain should still be proud of it's almost unrivaled rail safety record but today's derailment is a reminder that safety must continue to be at the forefront of all that we do. Two independent investigations have already begun into the cause of today's derailment, by both the Police and the Rail Accident Investigation Branch. Initial suggestions have centered around the suggestion that the tram may have been travelling too fast around a bend between Sandilands tunnel and Sandilands station. At this point the track negotiates a sharp 90 degree turn with a maximum speed of 12mph. There has been some suggestion that the tram may have been greatly exceeding this speed (the top speed on Tramlink is 50mph). Rail conditions may also have been a factor in the accident- almost half of the typical rainfall for the whole month of November had fallen overnight, and the line at this point has heavy tree cover. The problem of leaves on the line is common at this time of the year, with leaves squashed into a slippery paste which can cause trains to slip and make their brakes ineffective. Whether these factors played a part we do not yet know and must wait for the full RAIB report. Thoughts go out to all those who set out this morning and did not complete their journey.